Did you love Space Taxi on your C64? 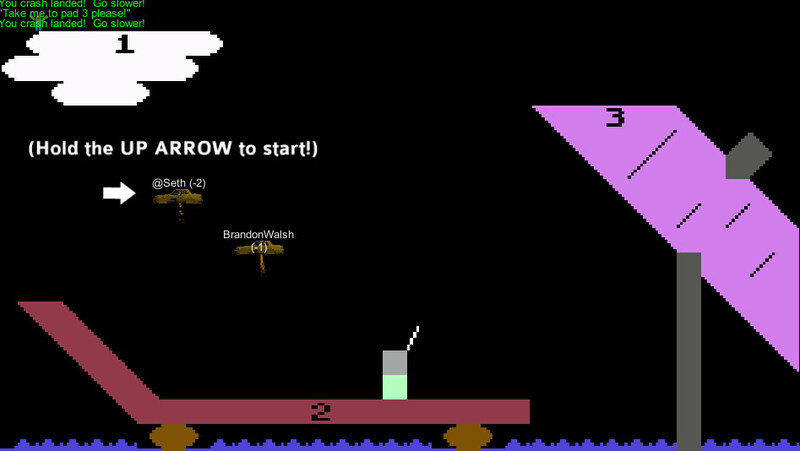 Then try this half-assed multiplayer version of it I did as a browser multi-player test using Unity. I don’t think I’m going to work on it anymore, so here it is! This entry was posted in Classic Gaming, Development/RTsoft, Unity on July 29, 2014 by Seth.